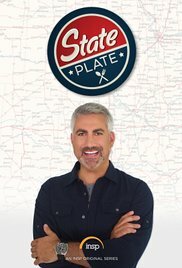 Celebrity Extra: INTERVIEW: Taylor Hicks, "State Plate Is a Home Run!" 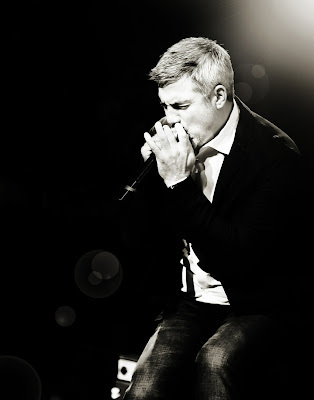 INTERVIEW: Taylor Hicks, "State Plate Is a Home Run!" Celebrity Extra: Earlier this year, you came back to “American Idol” to mentor this last crop of singers. Why did you decide to do that, and what was the experience like? Taylor Hicks: I love the educational process, instructing the singers and trying to cultivate their talent. That’s one of the things that I tried to do. Also, I have a saying, and someone told me this when I was going through my so-called break in the business. They said, “If you weren’t supposed to be here, then you wouldn’t be.” I have some friends who have caught a break, and I can see that they are nervous, and if you put that in perspective, that if God hadn’t intended for you to be there, then you wouldn’t be there. I think calming of the nerves is probably the most important thing to really be able to entertain and perform and move through the process of a show like that. CE: Tell me about coming back to perform on the series finale. TH: The finale was great, and I think I can speak for all of the idols and the winners and even the contestants who have been on the show that the way “American Idol” took its final bow was a true class act. The whole world celebrated, especially this country, they celebrated the last year. I think the way they celebrated the last season, and I think the way they celebrated the show in the finale, was a really wonderful way for all of America to have celebrated it. CE: It’s so amazing when you think that the show was on for 15 years! TH: “Idol” being on for 15 years, that’s just a testament to what the show has been able to do and how much talent has come from it. CE: As a performer, you play big stadium gigs as well as more intimate club settings. Is it fun — and beneficial — for you to get to exercise those different kinds of performance muscles? TH: I’ve always been a live performer, and I’ve been doing a lot of little intimate venues and acoustic shows. I think it’s not only important to do the full band, the big live shows, but I also think it’s important to do the smaller acoustic, intimate settings where you can really be up close and personal with the audience. And also you can be more of a storyteller. I think people enjoy that part of it just as much as they do kind of the live big-band atmosphere. I love both. I just love performing, so it’s the best of both worlds. You get the storyteller version where you get some stories about “Idol,” and also I get to explain my journey — people get to understand my past. And then the live big-band show is obviously more of a full production. CE: So your fans get the best of both worlds, and you do, too, as the performer. TH: Yes, very much so. I think it’s fun to exercise both. Luckily I grew up in both settings, so I’m familiar with both. I grew up on the panhandle of Florida playing at a place called the Flora-Bama, and that taught me a lot. Great musicians and songwriters like Sonny Throckmorton, Jimmy Buffett and Jimmy Louis were in that group. They’ve entertained people in that setting just as much as you would with a full band. I’ve been lucky to be privy to both of those. CE: Tell me about “State Plate.” From what I’ve read about it, I really like the concept. TH: In my opinion — and I might be a little bit biased because I’m hosting the show — the concept rivals any travel and food show on TV. And I’m speaking from a conceptual standpoint. Everybody from their respective states is very prideful of what comes out of their state, whether it be entertainment, whether it be sports, whether it be food. And this particular concept — being able to fill up a plate of food that’s an appetizer, entree, dessert that’s completely indigenous to each state — is a concept I think has got so much potential, and that’s the reason I’m so excited about it. Having traveled all my life and being from Alabama, you can’t not be a foodie. That’s just the way it goes, and we have so many different styles of food that have cross-pollinated our food culture. It’s got the potential to become a really popular show because people want to know what foods are indigenous to each state, and people want to see their state do well. I couldn’t be more excited for this show. CE: How did you become involved with the show? TH: I’ve been pitching shows since I had my Vegas show for two years. Obviously, you can tour the food of Las Vegas for years and still not eat everything. So, I’d been pitching food ideas to particular networks for years, and this concept from the folks at INSP network was brought to me, and it was just a great concept and fell in line conceptually with my Vegas idea. It broadened it to be able to hit every state in America. If you want to have something that is successful, you have to appeal to a broader audience. I just think this idea is a home run. CE: Explain the concept of the show to me. TH: There’s a farm-to-table element to it. I look at it like “Dirty Jobs by Mike Rowe,” but it’s only farm-to-table food. I definitely get my hands dirty — whether it’s dairy, whether it’s cattle — I just go into the particular food and really just dig in about where it comes from. What’s the origin of it? And sometimes that takes a little digging, no pun intended. CE: I live in Orlando, Florida, so I have to know if you’ve come to Florida yet and if you’ll divulge any secrets from your trip. TH: As a matter of fact, I’m in Florida right now. We’re wrapping up shooting here. I wish I could spill all of the info to you, but Florida is such a diverse state. We cover from the northwest to the southwest to the northeast — we try to cover all of the state. This one was tough, but I think we conquered it. And you can’t really cover the state in one plate in some of these states like Florida, Texas, California and some of the bigger states. So maybe we’ll come back for a second helping. Who knows? 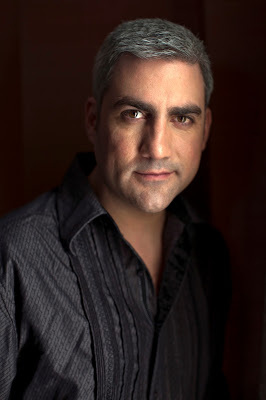 Love Taylor Hicks and food so I am really anxious to see this show. It sounds great! I really love the idea of doing a "State Plate" for each state. Some states are going to be difficult to put on just one plate. A "second helping" as Taylor put it might be a very good idea.